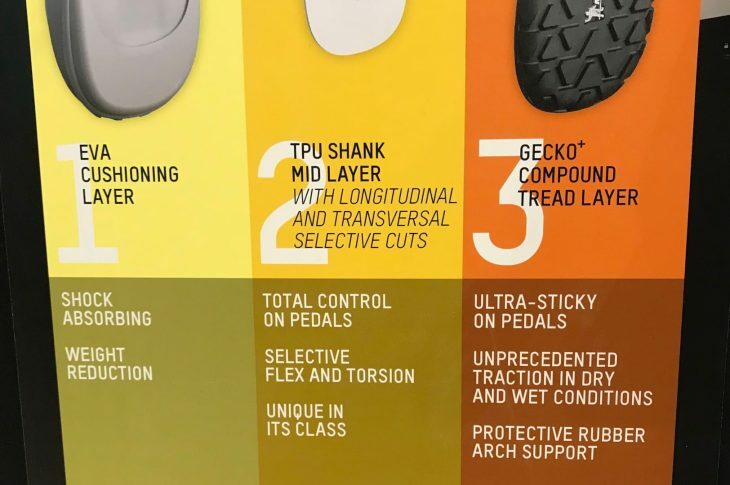 Despite the rise in popularity of clip-in pedals, especially of the platform variety, we’ve got a new entrant into the flat pedal market this Eurobike, plus a bunch of new offerings – will they translate to flat pedal heaven, or just another pair of shoes you can wear down the pub to show those in the know that you’re a rider? 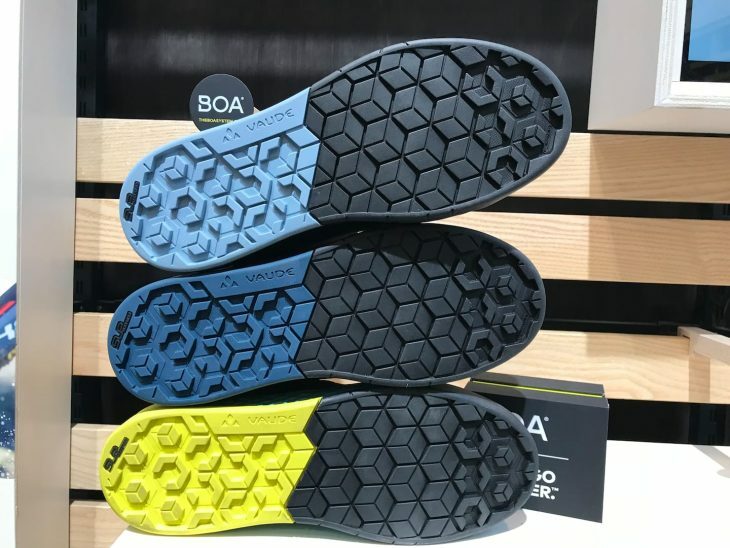 Three layer sole to stop the soft rubber being too bendy. 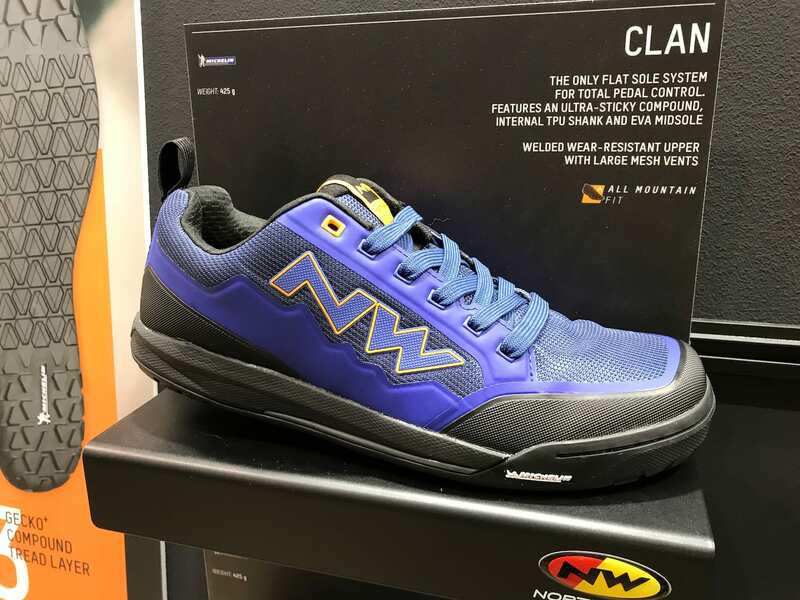 Northwave has introduced its first flat pedals shoes, with two options at two price points. 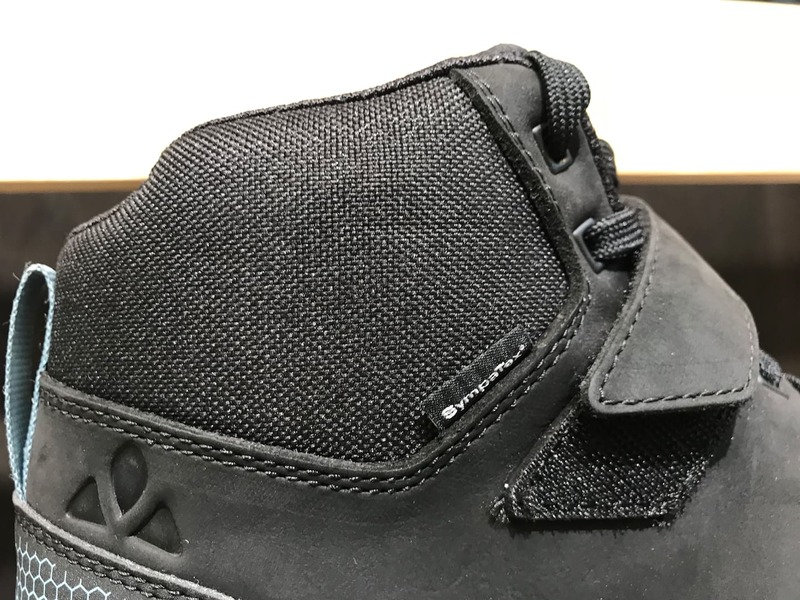 First up is the Clan, which has a very soft and sticky Gecko+ rubber sole, but made with a three layer sole to add stability to what might otherwise end up like a plimsole. 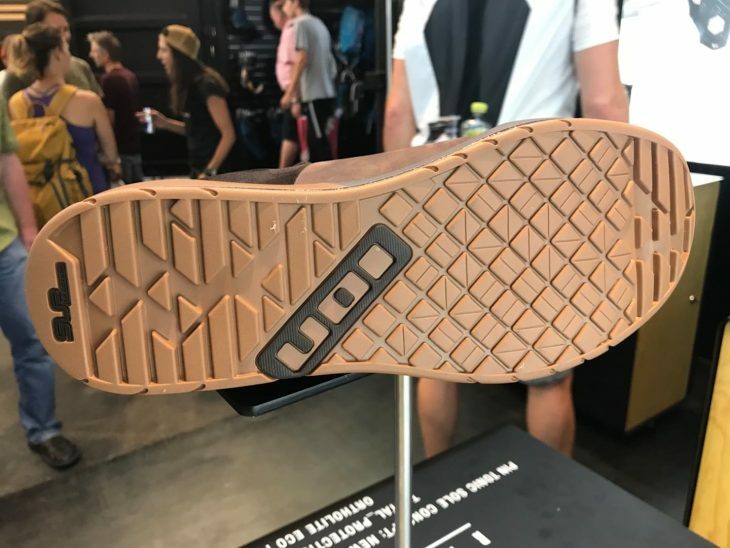 The three layer sole is made up of an EVA cushioning layer to absorb impacts, a TPU shank midlayer, which has cuts into it to provide flexibility where needed – you can bend your forefoot up to a point, but not too much – and then there’s the Gecko+ sticky rubber layer to make sure you stay attached to your pedals. Welcome to the flat world. The uppers are made with wear resistant welded seams and mesh vents – so, these will be strictly for UK summers, or filtering murky bog water then? 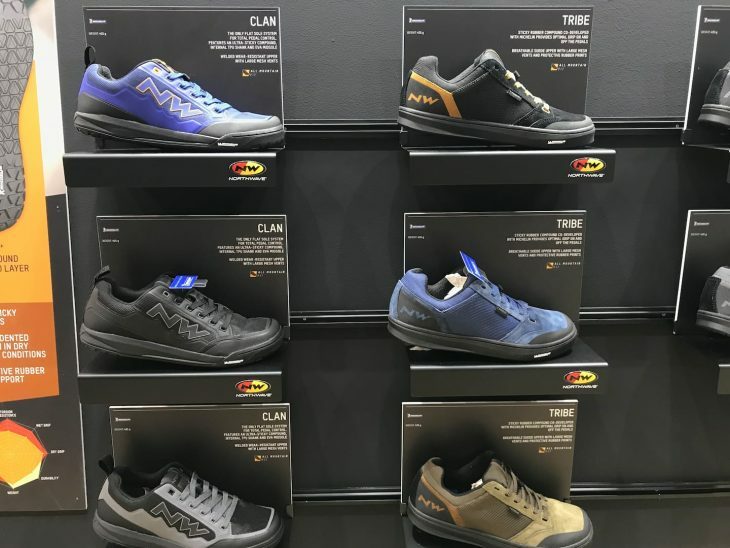 The Clan shoes will sell at €139. 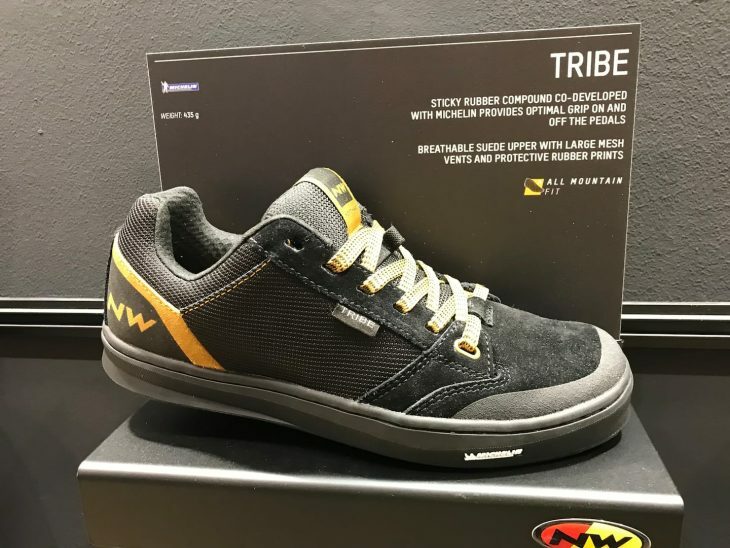 If your budget doesn’t stretch to the Clan, there’s the Tribe, which is more leisure focussed and a bit less soft and sticky – made with Gecko rubber (no plus there, and no three layer construction). 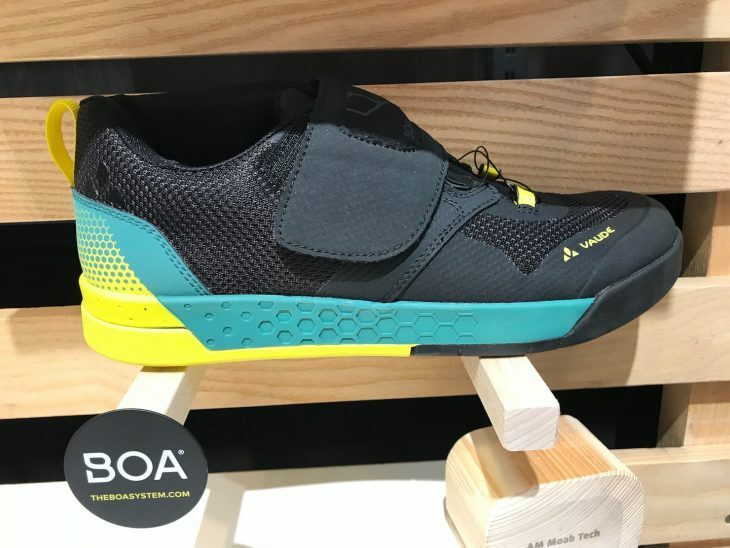 These will be for sale at €99.99. Cow on the outside, pig on the inside. Also throwing a foot in the flat pedal hokey-cokey is Ion, with its leather Raid Select. These are made with a cow hide outer and pig skin inner, like some sort of meat feast. On the stand they almost look like sensible shoes – it’ll be interesting to see if they weather and age like a great pair of walking boots or crack under the (probably inevitable) post ride neglect. 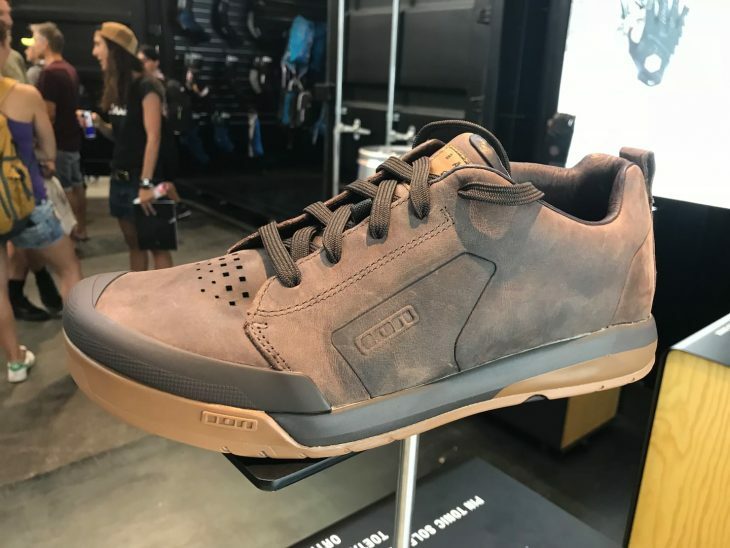 The sole is new to Ion – not the same sole as their clip-in Rascals use – and is designed to be soft but durable. 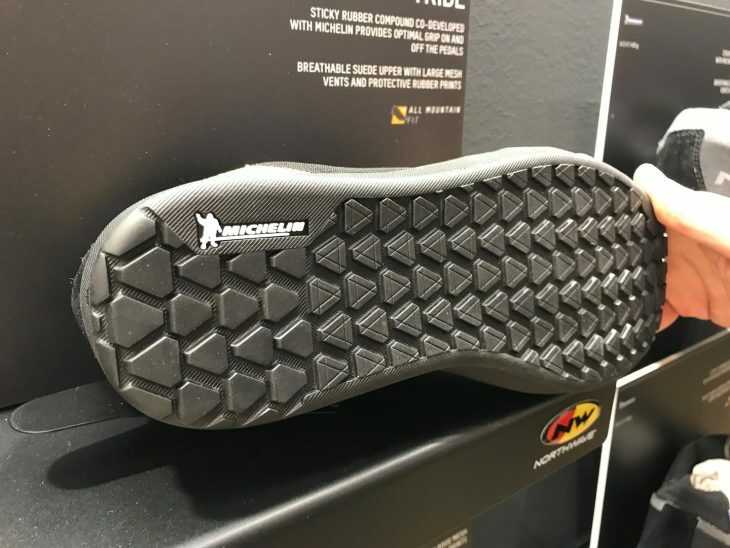 There’s a soft midsole for damping impacts, and a variety of tread on the soles in an effort to provide traction when walking. 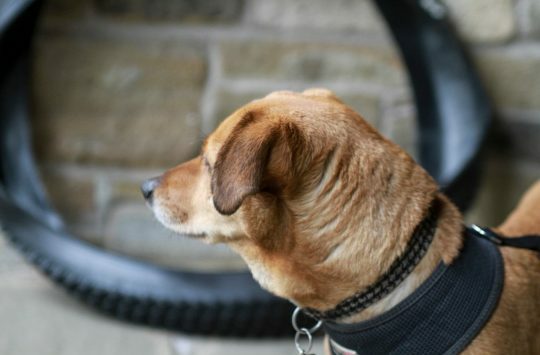 We’re awaiting pricing information, we’ll get that to you as we get it. What do you think – a bit too much like sensible shoes, or actually something an adult could feel OK about wearing? 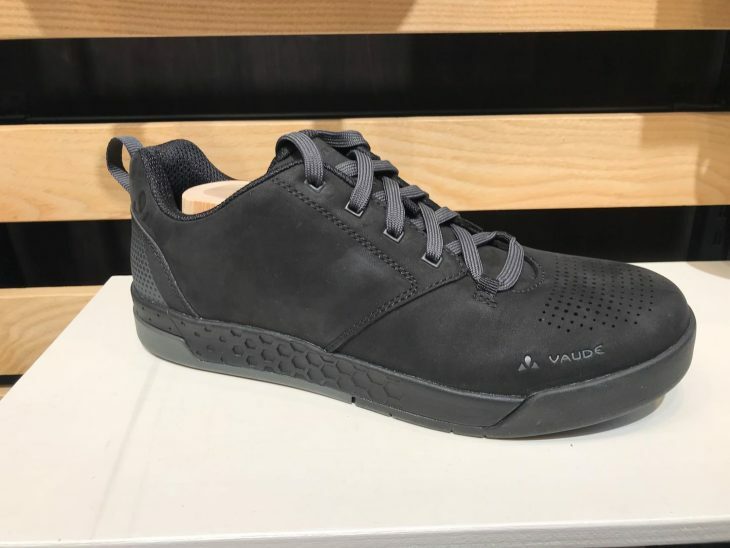 Also taking on the flat pedal kings are Vaude. We saw their first go at flat pedal shoes a couple of years ago, and we were impressed with their efforts at producing something a bit more weatherproof than had previously been available. They weren’t happy with the soles though, so they’re back with a new compound and a fair array of flat soled offerings. Variable tread for grip on ground and pedals. 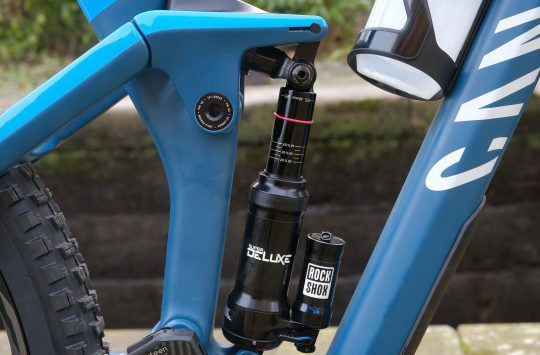 The top of the range offering is the £160 AM Moab Tech with BOA fastener. Next up is the leather and Sympatex Moab Mid STX at £175. German cows died for these, but they probably don’t mind. As you’d expect for Vaude, the leather is produced in Germany in an environmentally friendly way – the water at the tannery is recycled (if you’ve ever tried to build on a former tannery, you’ll know that they can prove to be exceptionally contaminated sites thanks to the nasty chemicals that can be used in the tanning process). 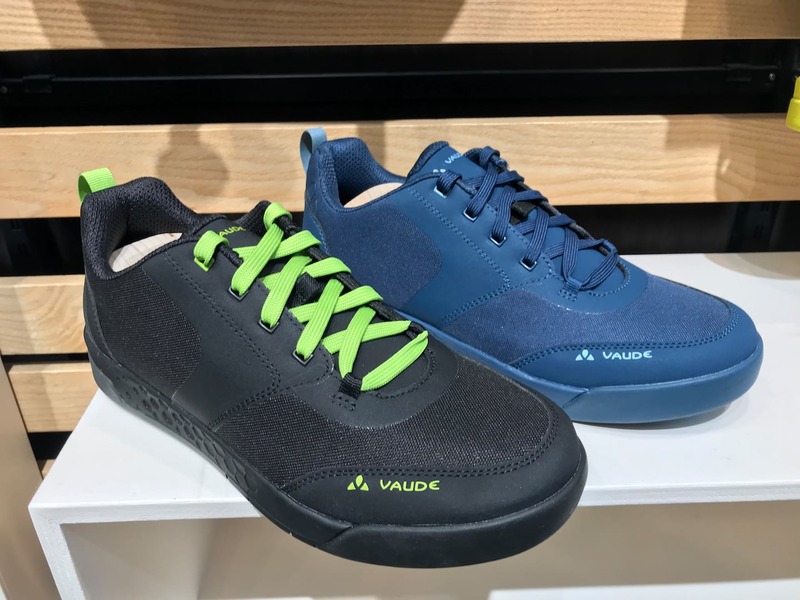 It’s great to see Vaude pursuing the waterproof hi-top – as many a flat pedal rider in the UK will know, when it comes to winter there have really been very few options other than wet feet or waterproof socks. Using the same sole as the rest of the range, but with a laced synthetic upper, there’s then the AM Moab Syn at £110. 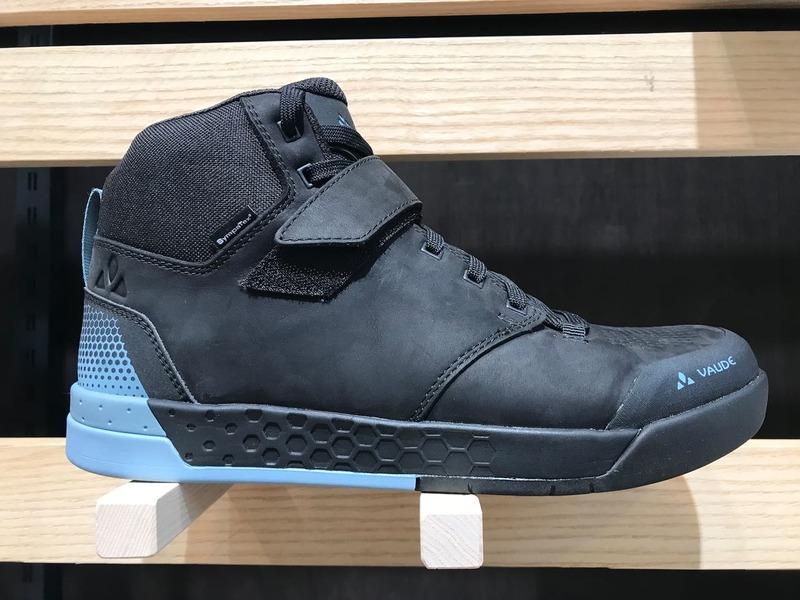 These also come in a women’s fit last. 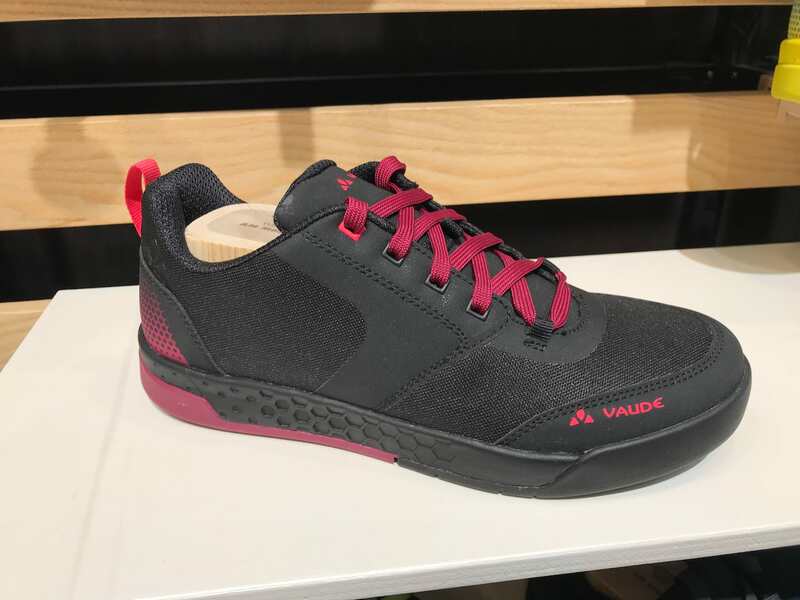 Finally, there’s the AM Moab, which is laced with a leather upper, at £140. Hmm…choices choices…it’ll be interesting to see how all of these shoes compare to market leaders and old favourites. 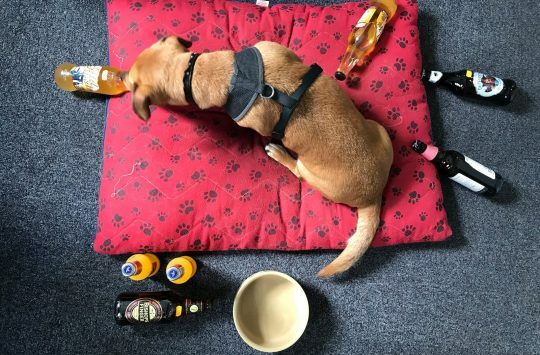 Watch this space as we work our way through testing some of these as they become available. 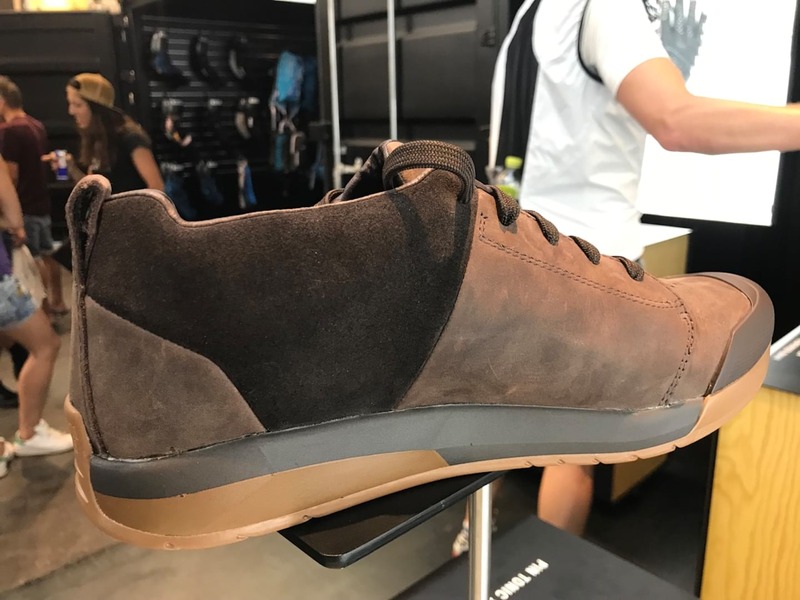 Keep your eyes peeled for more shoes and news on our Eurobike tag. i think once adidas terrex with its 510 stealth rubber sole creates a waterproof, gusseted cross trail shoe/boot the competion will be blown out the water..
Adidas will stuff it up. That Vaude Moab mid is looking pretty good, if I could get it down here.